Charlottetown is the capital city of Canada's smallest province, Prince Edward Island. 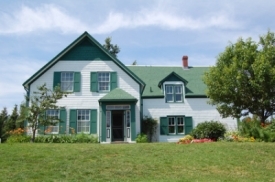 This farming island is best known as the setting of "Anne of Green Gables," the famous 1908 novel by Lucy Maud Montgomery. Walking tours visit the 19th-century homes, and scenic drives pass through the island's fishing villages. Other major attractions include the House of Green Gables, Prince Edward Island National Park and the shipbuilding museum near Port Hill.